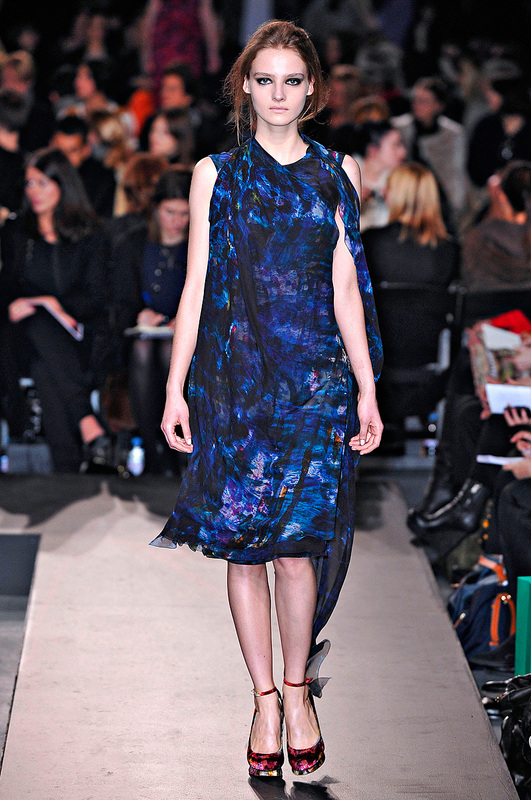 Erdem Moralioglu is an expressionist, impressing us with his imprint on fashion over the past few seasons. 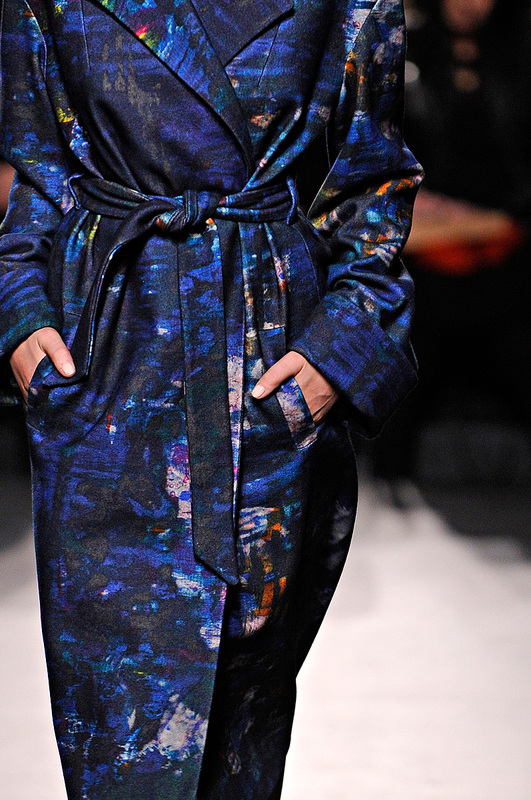 The Ryerson grad has gradually won this un-printed girl’s heart over with his patterns and colours. 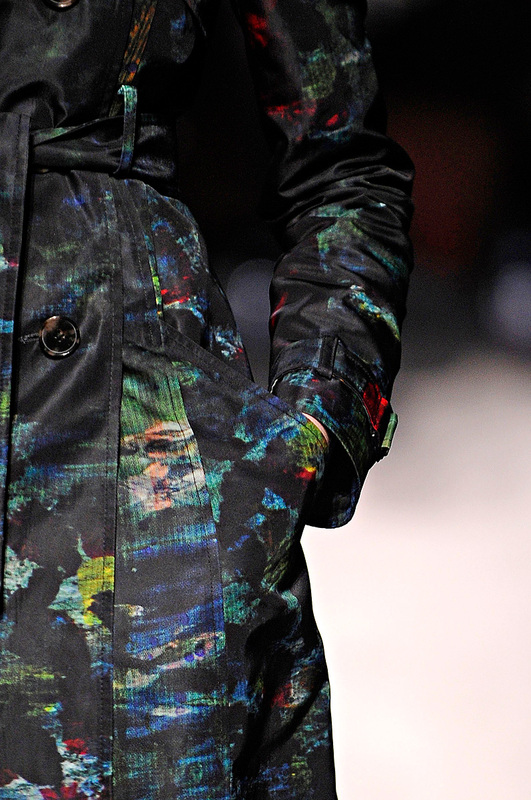 The delight is in the details – Erdem’s painted trench coat for FW11. You really have to get your hands covered in paint and feel the canvas. 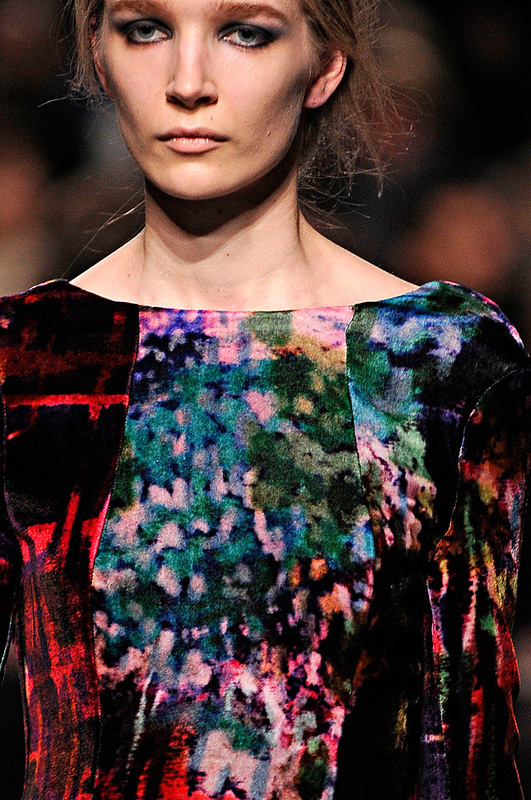 I have a crush on this velvet splatter. As with any fine painting, you must get up close to see the brushstrokes! Exshoesme, but do these elevators come in my size? 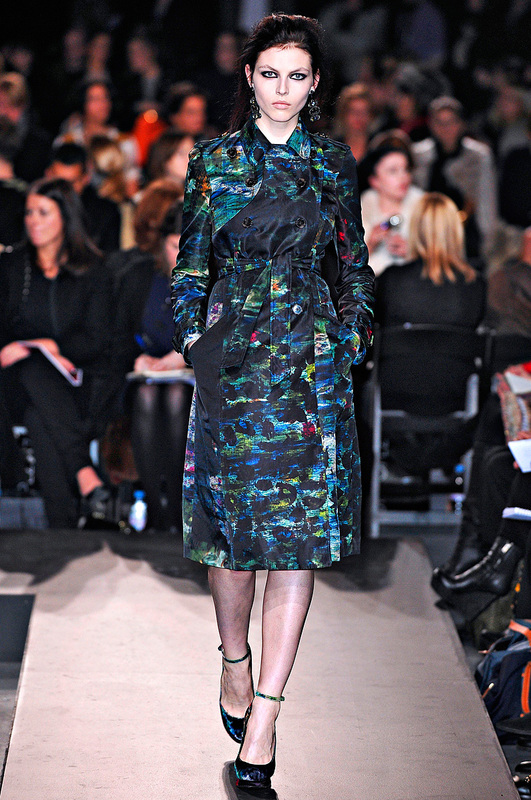 Whether it’s Impressionism, Post-Impressionism or a blur into Expressionism…Erdem’s penchant for painted masterpieces is evident. 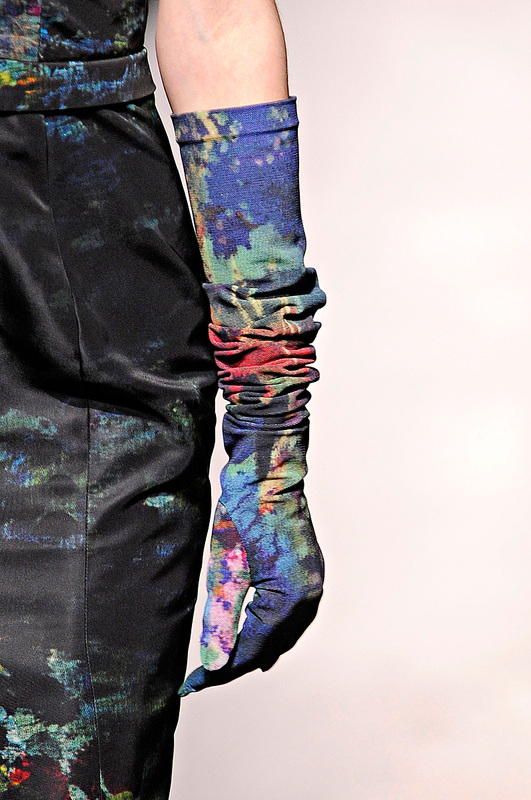 Each hem, each sleeve is a brushstroke on this artist’s very human canvas.